The Welfare Reform Act 2012 has not yet been implemented in Northern Ireland and its passage through the political institutions is far from certain. Whilst the challenges of power sharing in Northern Ireland go far deeper than welfare reform, it has been a catalyst for the current lack of funds. The Northern Ireland Assembly faces a £200m budget deficit. The Treasury is retaining the savings they would have expected to make from welfare reforms. Welfare reforms in force since 2012 in the UK are yet to be implemented in Northern Ireland. The funding shortfall is being paid for by the block grant, which makes up 95% of Northern Ireland’s budget. This means that other services will have to pay for welfare spending. Social security is a devolved matter in Northern Ireland and it operates on the basis of ‘parity’, adopting the same policy and systems as in the rest of the UK. Benefits are administered by the Department for Social Development, and specifically by the Social Security Agency (NISSA). It administers JSA, IS, ESA, Housing Benefit, Tax Credits, DLA / PIP and other DWP benefits. However, it does not administer council tax, as Northern Ireland continues to operate the old rates system. Employment support is administered by a separate agency, the Department for Employment and Learning. Housing is administered by the Northern Ireland Housing Executive (primarily council housing and some RSL) and Land and Property Services (private sector housing). HMRC administers tax credits in Northern Ireland and, while benefit payments (AME) are paid for by the Treasury, the administration cost (DEL) is borne by each local authority, out of the Northern Ireland Block Grant. Benefits are administered by 28 Job and Benefit Offices, supplemented by nine Job Centres and eight social security offices. They have recently launched a ‘Work Programme’ in Northern Ireland called Steps to Success. Northern Ireland has a population of 1.8m, of which 865,000 are economically active, 57,000 are unemployed and 315,000 are economically inactive. Average income per household is £462 per week versus the UK average of £517. There are 52,000 Job Seeker’s Allowance claimants, of which 36,500 are male and 17,500 have been unemployed for more than 12 months. (Statistics on other key out of work benefits were not available on Nomis). The unemployment rate in Northern Ireland is similar to the rest of the UK at 6.1% versus 6.0% respectively, but a much greater proportion of the population is economically inactive (27.2% vs 22.2%). What Is The Future For Welfare Reform in Northern Ireland? The freedoms secured by the Stormont House Agreement resulting from talks two days before Christmas 2014 covered key elements of the Act. 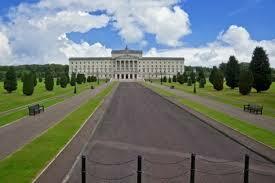 One agreement was that Northern Ireland would not have to implement the bedroom tax. Perhaps more significantly, with respect to Universal Credit, the Northern Ireland Assembly could maintain direct payments to landlords (but not utilities, as exists at present), double the payment frequency and seek to split the payment between purse and wallet. This agreement would arguably protect more vulnerable recipients, but would not make benefits more like regular income from work. The Welfare Reform Act 2012 has not yet been implemented in Northern Ireland and, while no party would find it popular to implement, Sinn Féin and the SDLP have effectively secured a veto of the Act by signing a ‘petition of concern’, thereby blocking its passage. As well as jeopardising the enactment of other agreements made at the talks, such as the keenly anticipated power to set corporate tax rates to compete with Republic of Ireland for jobs, the inability to agree the way forward may have far reaching consequences. Reports of a threat to the existence of the Assembly and even a return to direct rule are now becoming more widespread if an agreement is not reached in the coming days.